This is the full and detailed views of the first paperback edition of A Thief of Time published in Iceland. This edition was published in 1990 by Íslenski Kiljuklúbburinn in Reykjavík, Island. 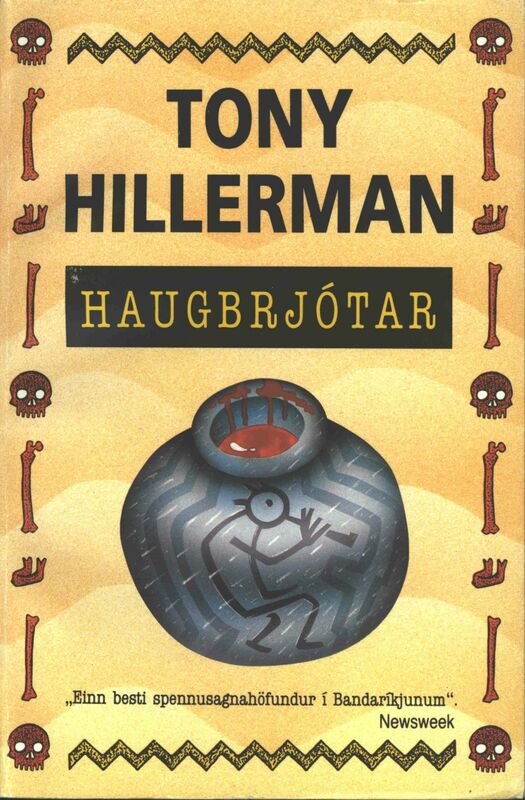 Tony Hillerman's original text in English was translated into Icelandic by Álfheiður Kjartansdóttir. Cover Photography and Design Credit: Cover design is credited Steingrímur Eyfjörð Kristmundsson, but the main design in the center is an adaptation from Peter Thorpe's original cover. 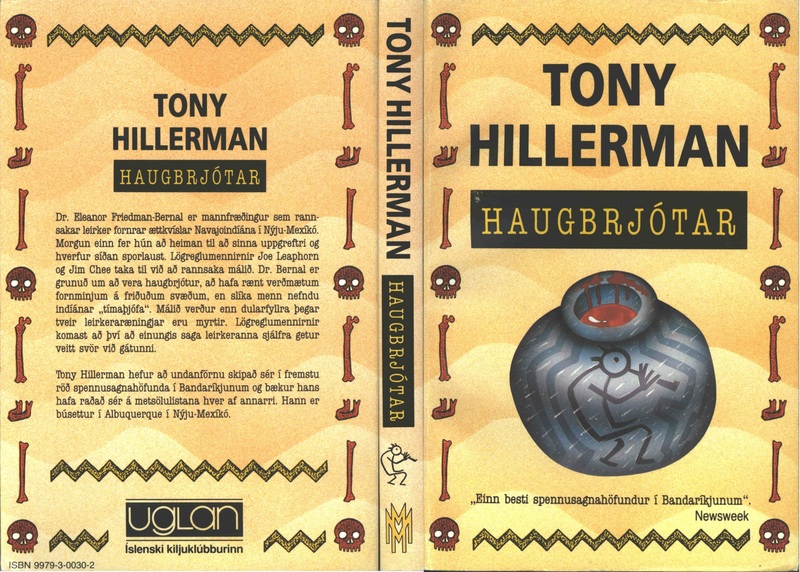 The cover is bounded by illustrated human bones and zig-zags and in the center there is a blood filled ceramic black-on-white olla featuring Kokopelli figure at the center.